My latest cafe find can be found in Kapitolyo. Yes ladies and gents, I’m taking this coffee craving to the next level by going outside Makati. 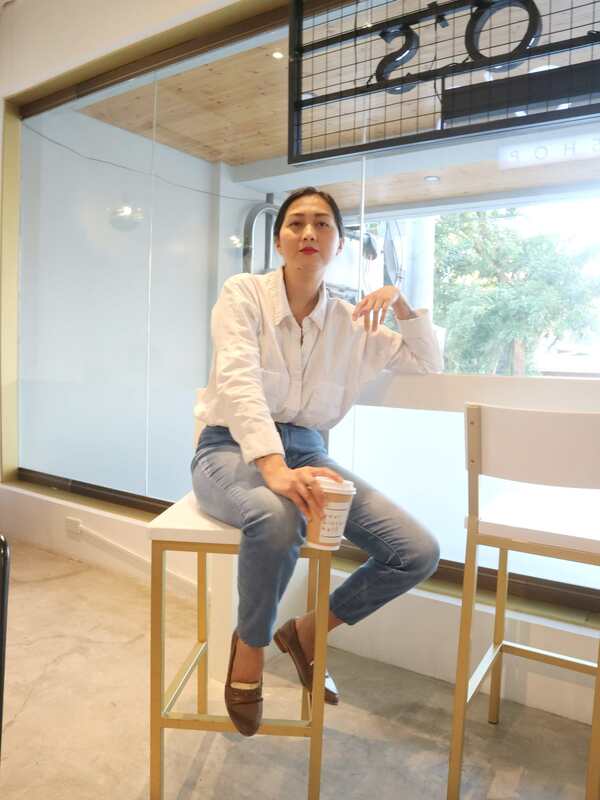 Nicto’s Coffee Shop can’t be found on ride-sharing maps but the address is, so if you’re not commuting, just enter 58 E Capitol Drive, Pasig. Anyway, I went there to meet some friends recently. 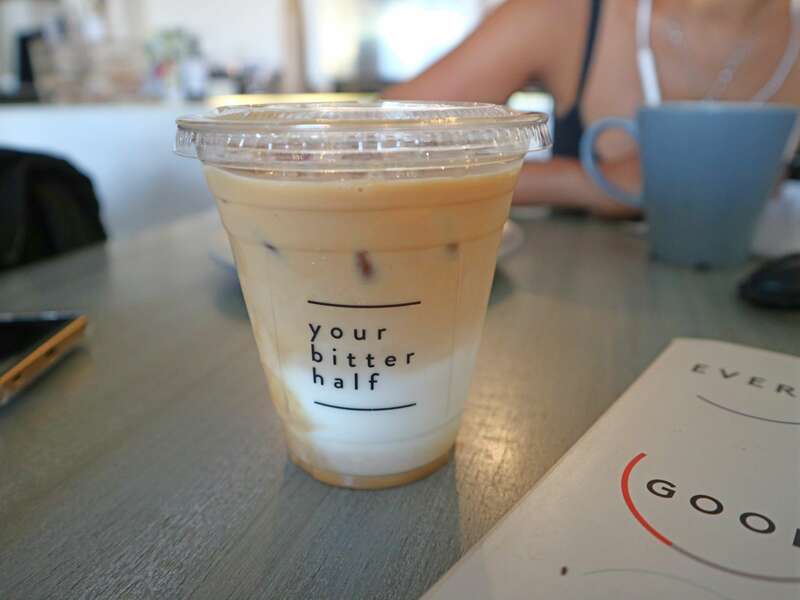 The place is small with gray cement flooring, white-painted walls, wooden tables and chairs, and a glass wall that faces the street. It has a clean, sleek restroom with interesting accents like the peach-colored sink, a ladder, and a spiral light fixture. 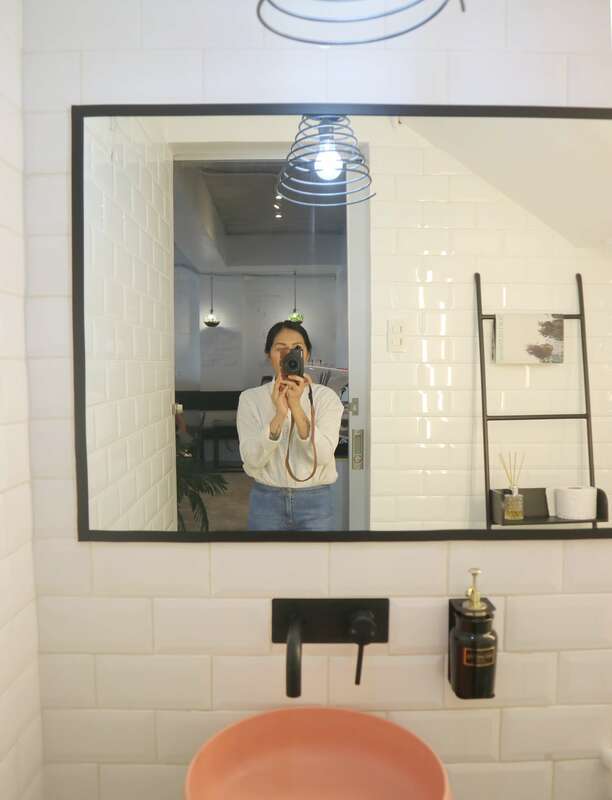 It has the look of a minimalist Instagrammable cafe down pat. We went on a Sunday but it was pretty busy. There are cushioned seats on the far side of the wall and I wanted to sit there for photo shoot purposes, unfortunately, they were occupied. 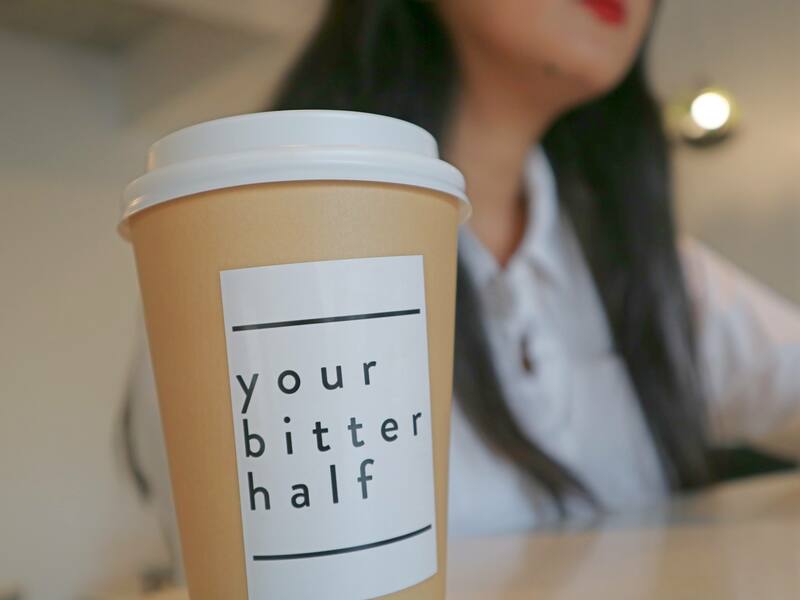 I ordered a flat white, the cup bears what seems to be the cafe’s slogan, “your bitter half.” I was not particularly blown by the coffee but it wasn’t bad. Other than some pies, brownies, and sandwiches the menu doesn’t offer a lot for eating. I read from a Zomato review though that he saw someone ordering a rice meal. It wasn’t written on the menu so I guess you have to ask the barista for this. 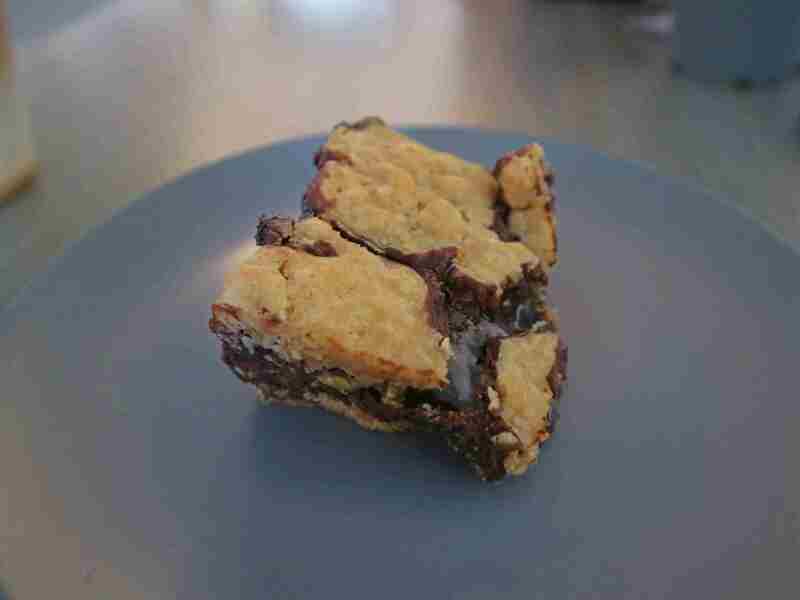 The oatmeal brownie is good by the way, sweet and chewy. Share it with o someone because if you are not a legit sweet tooth, you might have a hard time finishing it. On weekdays, Nicto’s is opened from 8:00 a.m. to 8:00 p.m. and it’s 9 to 9 on weekends. I’m keeping this short because my brain is not functioning well these days. Also, I have nothing left to say.